Sometimes things just work out. When Microsoft announced Windows Phone 7, a complete remake of the Windows Phone platform, we all got very excited. The simplicity of the platform is unheard of, with the target being to “spend less time on your phone – and get to the things you want to do quicker”. A perfect platform for a WordPress app to enable blogging while on the move. In this, the first version of WordPress for Windows Phone 7, you will find most of what you’ve come to expect from WordPress apps. It’s easy to write and edit posts and pages on the move, you can upload photos, as well as check stats and moderate comments. It’s all easily accessible from an Actions dashboard. In future versions of the app we’re also hoping to implement video uploading – let us know what else you’d like to see! To navigate through the app a Panorama view is used, something unique to the Windows Phone 7 platform that works really well for managing a blog or a website. You can get an idea of what it’s like using the app by clicking through the slideshow on the brand new WordPress for Windows Phone 7 website. We couldn’t be more excited about this, and we’re hoping to take the app even further in the coming months. It’s a partnership between iSoftStone, Microsoft and us that’s made this possible, thank you for all your help and support! 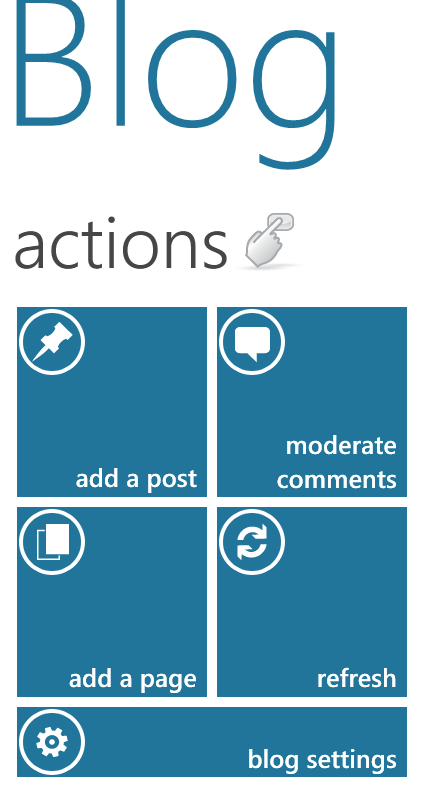 WordPress for Windows Phone 7 is an Open Source app. To learn more and get involved, visit windowsphone.wordpress.org/development. To get the latest news while they’re hot, be sure to subscribe to the WordPress for Windows Phone 7’s Twitter stream: @WPWindowsPhone. We’re also blogging about the app over at windowsphone.wordpress.org/blog. If you need help setting up or using the app, or if you have feedback, be sure to visit the forums.